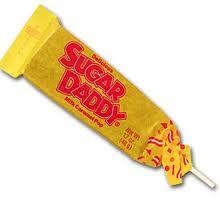 When I was a kid, two of my favorite candies were the Sugar Daddy pop and Bonomos Turkish Taffy. I especially enjoyed the Sugar Daddy because it would last all day and it only set me back a nickel. As kids, we could get them at The News Shop, Folk Art, or Schneiders; the three places in Woodstock that sold candy. We would ride our bikes into town; back then there wasn't a lot of traffic and we would practically have the road to ourselves. After our purchases, we'd ride off with our brown candy bags to the rec field and tear open the packages. There was something wonderful about delicious creamy caramel on a stick. 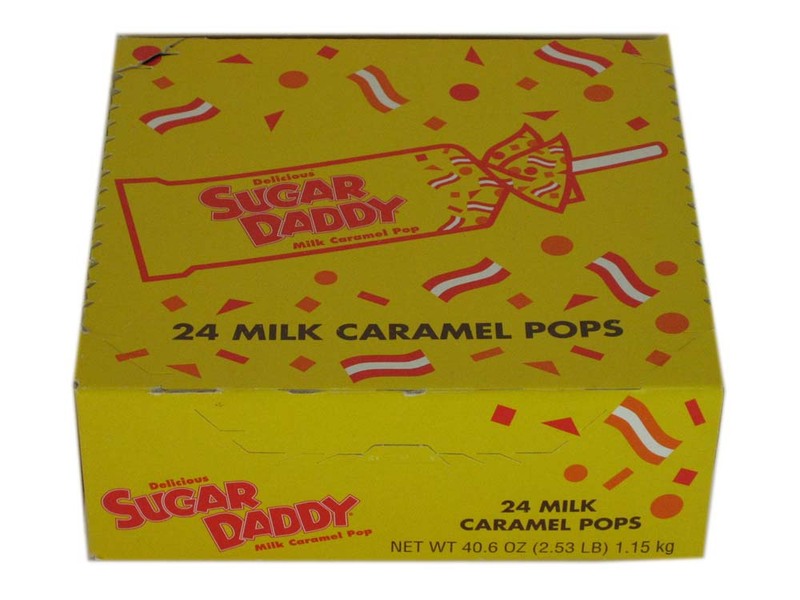 But the Sugar Daddy pop is one of those candies that I never finished. It would either get stuck in my hair or I'd pack it back up in the yellow wrapper and put it down somewhere. A lot of the candy I loved as a kid is still around. Some have new packaging, and others are made from slightly altered recipes. But they all still taste good! There is still a visual appeal to all that candy I grew up with. It's very nostalgic, and reminds me of being a kid again. Today if I want to get transported back to youth, I go for a smaller junior Sugar Daddy pop, which I always manage to finish. Charles M. Schulz, the creator of the Peanuts comic strip, would have been celebrating his 89th birthday today. Unfortunately he died in 2000, but his lovable characters can still be seen today in syndicated comic strip sections. Peanuts appeared in more than 2,500 newspapers for almost fifty years. Most everyone is familiar with Lucy, Charlie Brown, Peppermint Patty, Linus, Woodstock, and Snoopy. When Schulz was a kid he drew a picture of his family dog, Spike (not a Beagle), who ate pins and tacks. He sent the drawing to Ripley's Believe It or Not! where it was published. He drew in school, but had artwork rejected from making it in his high school yearbook. How foolish they were! Schulz's characters are loved by people of all ages. There are statues, lunchboxes, mugs, books, sweatshirts, books, clocks, and all other kinds of knick knacks depicting Snoopy and the rest of the gang. Happy Birthday remembrances, Charles Schulz. If you're about to celebrate your 65th birthday, don't worry, you're not old. You still have time to do lots of things that are left on your bucket list. Just follow the example of some of these young people who have set records in the Guinness World Book. Walter Liesner of Germany was 94 years old when he performed a backflip in a swimming pool. If you're 65, it might not be too late to give birth. The oldest mother is Maria del Carmen Bousada Lara who at 66 years old, gave birth by cesarean section to twin boys, Christian and Pau. The oldest person to sail around the world is Minoru Saito of Japan who was 71 when he completed a non-stop solo voyage of the world in his yacht. Emma Carrol of Iowa was way past her 65th birthday when she made an hour-long flight in a hot air balloon. She did this at the young age of 109. The oldest person to visit the North Pole is Dorothy Davenhill Hirsch of the United States who at 89, was aboard the Russian nuclear icebreaker Yamal when she made the trek. Edith Dewhurst of Great Britain received a hip replacement at the age of 103 at Stepping Hill Hospital. Don't think it's too late to run in a marathon. Gladys Burrill was the oldest female to complete a marathon at the age of 92 years 19 days. This was at the Honolulu Marathon on December 12, 2010. It took her 9 hours, 53 minutes, 16 seconds to finish. If you're about to be honored at a 65th birthday party think young, and accomplish something great! Over the hill is a totally arbitrary way to describe someone's age. A person who is 30 years old might say that 40 is over the hill, while a 50 year old might think that you have to be over 60. It used to mean that you're past the prime of your life, but today it's used in a fun way to mock someone's age. Question: Where can a man over 65 find a younger, good looking woman who is interested in him? Answer: In the bookstore under fiction. Question: Do people sleep more soundly as they get older? Answer: Yes, but it's usually in the afternoon. The tv station sent a reporter to interview a woman on her 90th birthday. "What's the secret to longevity?" he asked. "Simple," she said. "Keep breathing." When you reach the golden age of over the hill, your secrets are safe with your friends. They'll never share them because they can't remember them. Two old men were sitting on a park bench. One says, "You know, I'm 85 years old and my body is full of aches and pains. You look like you're my age. How do you feel?" The other man says, "Oh, I feel like a newborn baby." "Really," says the first man. "Yup," says the second one. "No teeth, no hair and I think I just wet my pants." If you're looking for birthday gifts for old men like these guys, something funny would be the perfect thing. 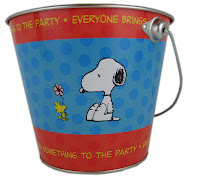 Over the hill jokes can also mean gag gifts that you would bring to a birthday party. 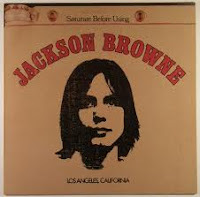 I used to listen to Jackson Browne back in the '70s while playing my cassette tape of his songs over and over again. I knew all the lyrics to the album Jackson Browne, and would belt them out as I drove along. November 16, 1976, was a big day for Browne, because that is the day his album went gold. That was 35 years ago today!! Some people know the album as Saturate Before Using since those words appear at the top of the cover, although the cover art was meant to look like a water bag. Supposedly those words were not supposed to be the title of the record. Jamaica Say You Will, Doctor My Eyes, Song for Adam, Under the Falling Sky and Rock Me on the Water are just a few of the songs on the album. You've gotta love them if you were coming of age in the 1970s. Songs like those can take you right back to that time, just like nostalgic candy can! Many people relate to time periods through memories of music, movies, clothes they wore, or the friends they hung out with. The memories we like the best are the ones of candy. That 's why we recommend a box of nostalgia candy memories from the '70s to transport you back in time while you listen to some of Jackson Browne's music. When is the last time you had Pixy Stix, Candy Buttons on Paper, Candy Cigarettes, Pop Rocks, Razzles, and Wax Lips? If it's been a while, treat yourself to a relaxing night with some good songs and great candy! We have a Plus size Santa Claus suit that comes in XL and fits up to 4XL. It includes a felt coat, pants with a drawstring waist, black belt, beard, wig, hat, and plush-trimmed boot tops. The pants will fit up to a 60" waist. The zippered coat fits up to a 76" chest, and is 33" in length. Dressing up has never been more fun! One of the best 50th birthday party ideas is to have one with a '70s theme. Even though a 50 year old was born in 1961, they lived their teenage years through the 1970s. This time period was pretty lively with the popularity of disco music and outlandish clothing styles. A fifty year old might remember wearing hot pants, fake fur, platform shoes, hip huggers, head bands, tie dye t-shirts, and polyester clothing. Ask all the guests to wear clothing reminiscent of the '70s. If they don't have any of these styles hanging in their closets, a thrift store is a great place to go shopping. Of course a teenager's Friday night wouldn't be complete without blasting some disco music on the stereo. Songs like Brick House, Y.M.C.A., Play That Funky Music, Disco Lady and Night Fever were all hits during that decade. Playing music at the party will surely get people in a good mood. Rock music was popular too, although having a birthday party with a disco theme can be a little more nostalgic to this age group. Before the party, make a collage of photos of the person celebrating their 50th birthday. Ask family members and friends for any old photographs they may have. You can even get pictures from Facebook. Make a time line starting at childhood, and leave room so people can write comments under each photo. Other 50th birthday party ideas are to have a "roast," as long as the birthday person has a good sense of humor. Line up a few good friends who can plan ahead of what to say. Then have an open mic so some other guests can tell good stories. A party isn't complete without food and decorations, and there are plenty of options for this. Finger food is perfect to serve because you won't need forks and knives. Chips, pretzels, shrimp, wings, meatballs, cheese and crackers, and raw vegetables with dip area all things that people love. A delicious birthday cake is a must, and don't forget the candy!! You can have a huge bowl filled with retro candy that the 50 year old will remember from childhood. For decoration, you can get disco balls, balloons, streamers or anything with a 50th birthday party theme. If you make this a memorable occasion for everyone, you've done your job well! If you're looking for fun ideas for 40th birthday gifts, a box of retro nostalgic candy is perfect for almost anyone. Most people loved candy as a kid, and now you can give a 40 year old an opportunity to rediscover all the great candies they grew up loving. Most people remember Pixy Stix, Bonomo Turkish Taffy, Wax Lips, Candy Cigarettes, Candy Buttons on Paper, Pop Rocks, Fun Dip, and Atomic Fireballs. It's probably been a long time since they ate this candy, so this gift will be a fun reminder to a forty year old of their childhood. Many kids remember going to the mom and pop store and filling up their brown bags with penny candy. It's an experience that so many kids had all across the country. Now with so many mega stores, the little specialty candy stores are hard to find, and children growing up today miss out on things that past generations took for granted. Someone who is 40 years old used to be able to hop on their bike and ride around the corner to get their sugar fix. Stories about candy are something you can share with your kids, your parents, grandparents, and friends. It can be fun to talk about and reminisce about the good old days! 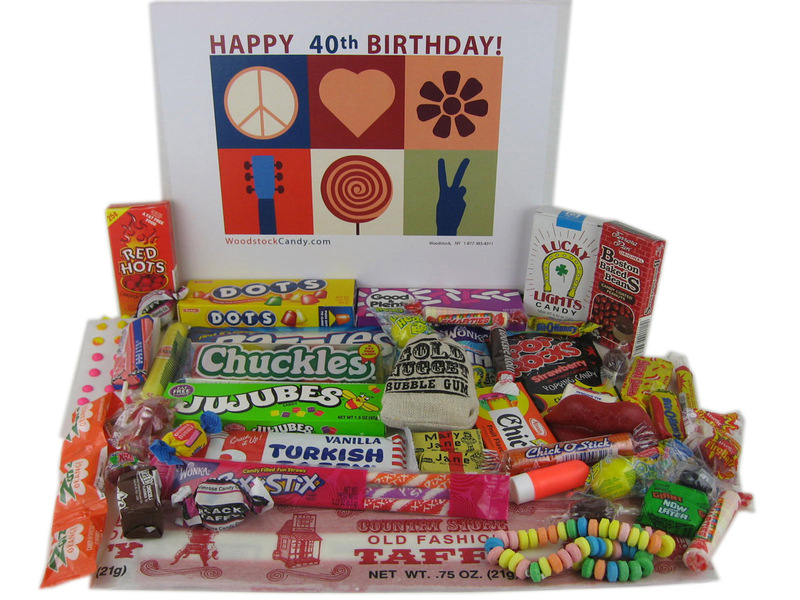 When you think of 40th birthday gifts, think candy! Who's to say that a 75 year old is over the hill? Some people claim that after you reach 50 or 60 you're over the hill. To most, that would mean that when you reach 70, you've definitely gotten there. Don't confuse the eighty-eight runners over 75 years old who signed up for the New York City Marathon to be over the hill. These runners are proof that at any age you can be healthy with an active lifestyle. Take for example, Ginette Bedard who is 78. 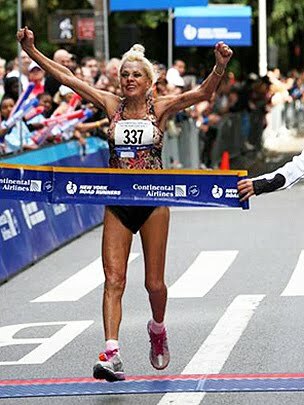 She started running when she was 68, and ran in the marathon today. Richard Gonzalez of New Orleans is 79, and he's run 105 marathons. So the next time anyone talks about being over the hill, remind them that they need to get out there with some older folks who can set a great example for them. Sometimes it's your frame of mind that makes you feel older than you really are. When that milestone birthday comes your way, take off your over the hill birthday party hat and change it to a "young at heart hat!" There is some speculation on how the the Baby Ruth candy bar got its name. There are two sides to the debate. Most people will say that it was named after United States President Grover Cleveland's daughter Ruth who was called "Baby Ruth," because that is what the manufacturer stands by. The candy originally came out in 1920 under the name "Kandy Kake." 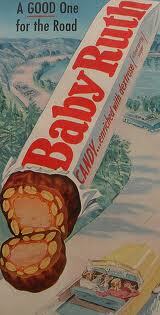 In 1921, it was changed to "Baby Ruth." In 1921, Cleveland's daughter had been dead for seventeen years. It seems highly unlikely that the Curtiss Candy Company would name a candy bar after a little girl who had been gone for so many years. But the candy manufacturer assures everyone that the name came from Ruth Cleveland. Many people think the candy bar was renamed to cash in on the popularity of the famous Yankee baseball player Babe Ruth. In 1921, Ruth broke the record for the most home runs; that was the same year the name of the candy bar changed. It's highly probable that Curtiss Candy Company made up the story on why the candy bar was named "Baby Ruth" so they wouldn't have to pay royalties to Babe Ruth. Even back then, someone was thinking how to make money by capitalizing off of someone else's fame! Here's a list of chocolate bars that have been popular over the years. It's a few days since Halloween, and if you're wondering what to do with your excess candy, there are a lot of creative ways to make use of it! In an earlier post, we told you about anysoldier.com, a website that connects you with soldiers who are looking for various things. Some of them are asking for candy so they can give it to local children in foreign countries where they are stationed. Many of those kids would never have candy if it wasn't for our troops. And we know how much kids love candy! If you can't part with all that sweet goodness, there are things that you can make right in your own kitchen. No need to run out and buy a candy studded milkshake next time you have a craving for something sweet. Make one with left over M & M's, Heath Bars, Reese's Pieces, Gummy Bears, or any other goodies you might have. Instead of regular chocolate chips, use chopped up chocolate candy next time you make brownies or cookies. Spice up your baked goods and add some color with your uneaten Halloween candy!! Will you be making a gingerbread house this year? How about decorating it with your leftovers? Dots candy, gumdrops, Hershey's Kisses, peanut butter cups, and Sweet Tarts work really well for this. If someone in your family is celebrating a birthday soon, and you like cake decorating, you can use surplus candy for that as well.